This is the Octal version of the ACF-2. 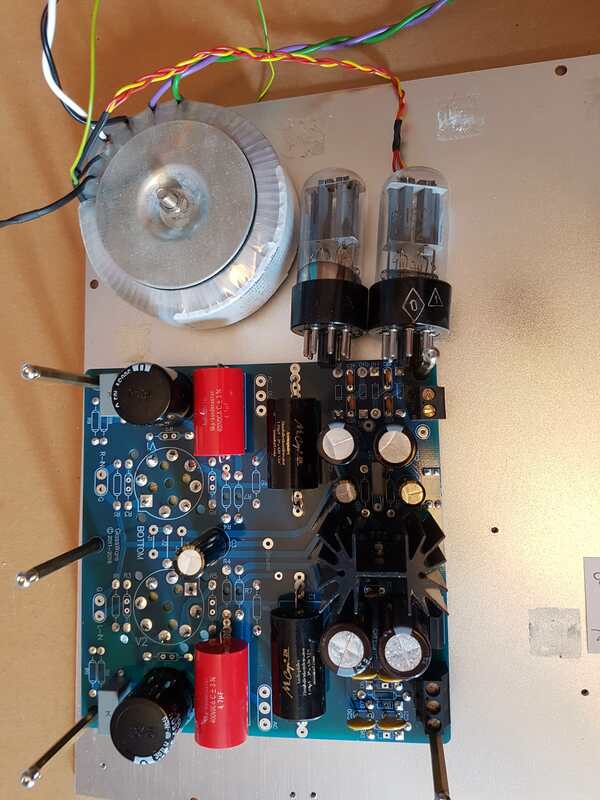 The ACF-2 uses a bipolar power supply giving options for omitting the input and output capacitors. The board is one of Broskie's 'all-in-one' products so both the B+ and filament power supplies are on the board. 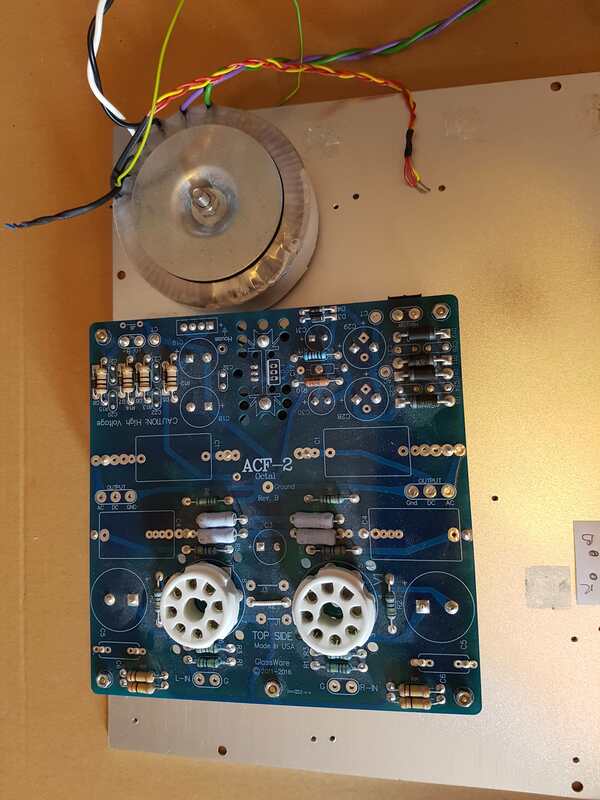 The board is fully assembled using good quality parts (such as Mundorf ZN output caps) and is configured to use 6SN7 valves, though others can be used with a few component changes - it's all detailed in the manual. I will include a pair of 6SN7s. Also included is a custom-wound transformer, produced by Canterbury Windings. Primary winding is 0-240V and secondaries are 115-0-115V @ 65mA, 0-12.6V @ 1.5A and 0-7V @ 2A (this was going to power part of the Soekris DAC). Will sell for £75 plus postage at cost plus PayPal fee. Metalwork isn't included.